How I do love a dusty orange! China Glaze Life Preserver is from the Anchors Away collection. 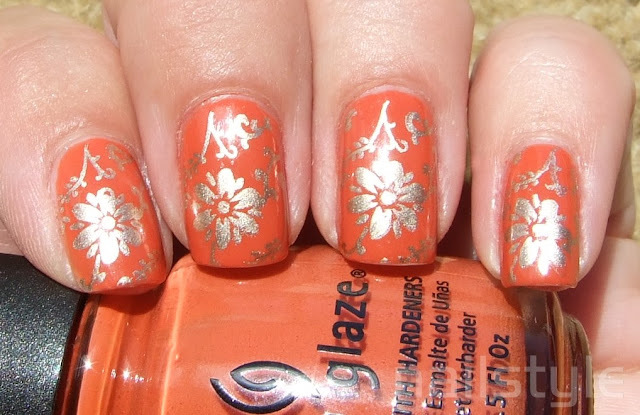 It is a muted burnt orange creme - perfect for summer! This shows two coats but I think 3 would probably have been better. The formula is thick but easy to apply and dries quickly. Very beautiful and springy!!! I like this.